The New York Times reports, in late 2015, Dr Johanna Rhodes, an infectious disease expert at Imperial College London, got a panicked call from the Royal Brompton Hospital, a British medical centre outside London. C. auris had taken root there months earlier, and the hospital couldn’t clear it. ‘We have no idea where it’s coming from. We’ve never heard of it. It’s just spread like wildfire,’” Dr Rhodes said she was told. Under her direction, hospital workers used a special device to spray aerosolized hydrogen peroxide around a room used for a patient with C. auris, the theory being that the vapour would scour each nook and cranny. They left the device going for a week. Then they put a “settle plate” in the middle of the room with a gel at the bottom that would serve as a place for any surviving microbes to grow, Dr Rhodes said. Only one organism grew back. C. auris. It was spreading, but word of it was not. “They obviously didn’t want to lose reputation,” Dr Schelenz said. Yet the issue remained little known internationally, while an even bigger outbreak had begun in Valencia, Spain, at the 992-bed Hospital Universitari i Politècnic La Fe. There, unbeknown to the public or unaffected patients, 372 people were colonized — meaning they had the germ on their body but were not sick with it — and 85 developed bloodstream infections. A paper in the journal Mycoses reported that 41 per cent of the infected patients died within 30 days. A statement from the hospital said it was not necessarily C. auris that killed them. “It is very difficult to discern whether patients die from the pathogen or with it since they are patients with many underlying diseases and in very serious general condition,” the statement said. 587 cases of people having contracted C. auris have been reported in the US, concentrated with 309 in New York, 104 in New Jersey and 144 in Illinois, according to the C.D.C. Reports and more information can be found here at the Mycotic Diseases Branch at the Centers for Disease Control and Prevention (CDC). 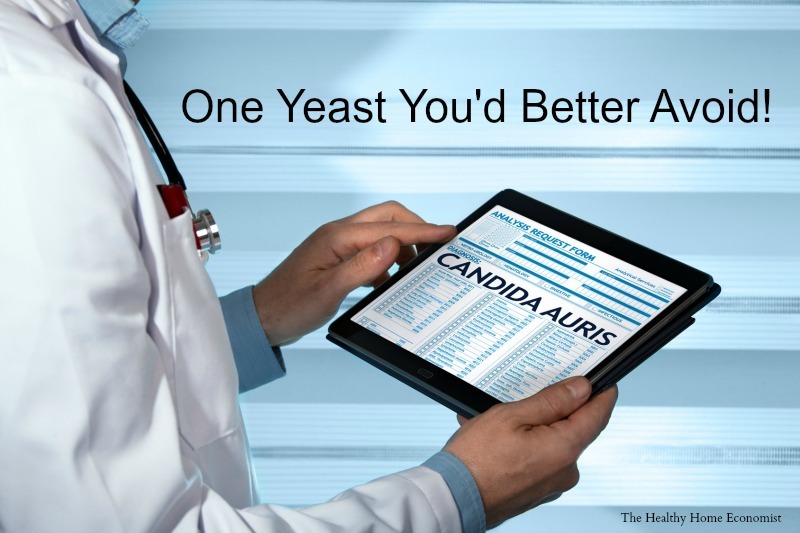 As part of the CDC Expert Commentary Series on Medscape, I would like to tell you about Candida auris, a novel yeast that is behaving in unexpected and concerning ways, causing severe disease in countries across the globe, including the United States. Today we'll share how you can protect your patients from this potentially deadly infection, the history of this unusual bug, and how the United States is working with global partners to combat its spread. CDC's website has the most up-to-date guidance on identifying, treating, and controlling the spread of C auris. Eat raw garlic cloves every day to kill this frankenyeast or any fungal infection. Gods food will cure you not mans meds! "Let thy food be thy medicine..." It is written! Maybe it's one of the Pandemics the WHO has warned about for years. Maybe another 'escaped' lab organism? And maybe Bayer's/Monsanto's Roundup will help - then those 'pesky' lawsuits will be dropped. --- Just kidding. Since our bodies are so weakened by all the toxic exposures (incl. toxic man-made/adulterated foods, drugs and vaccinations containing known neurotoxins, retroviruses, artificial electromagnetic fields etc. ), almost any pathogen can become deadly and drug resistant. It's sure a brave new world we 'smart' humans have created. Unfortunately, it doesn't only affect us, the 'creators' of our demise, but all life on Earth. Unfortunately, sharing of information about natural remedies, preventatives and cures are increasingly being suppressed by politicians/pharma industries. This censorship that's either based on ignorance and/or greed/power will prevent most people access to information that might help them to prevent or overcome disease. What a mess we modern humans have become and created. Interesting diagnosis Hern but I have read info saying those dead leaves clinging to trees in winter are because winter is not natural anymore and induced by geoengineering freezing chems and nature knows the difference so does not recognize the fake cold. In responce leaves don't turn fall colors and drop. They are sprayed to perform as they would seasonally which only turns leaves brown and most do not fall off. This fungus issue is another result of geoengineering. Dimming the sun IMHO can and is causing fungus to run rampant in many forms in many species including plants and trees. There have been reports of birds with fungus so bad they lost their little legs. Too much solar radiation but not enough naturally filtered full sun light is most likely the reason for it. Fungus grows in low to no sun light. The stated goal to dimming the sun is said to be 2%, but some report they are dimming as much as 20%. If you pay attention you can see the air is fuzzy, not clear as it was years ago and also if you watch older TV shows and movies you can see the difference easily. You can also notice how the landscape was so much fuller, greener and healthier looking compared to now. Go back to the 80's or earlier and look. Sky scapes are deeper blues with no crazy lines or Geo haze to be seen, foliage is thicker and greener, and the air is without haze so much clearer and better sun light. Now the sun is reflective to all the reflecting chems in the air, nano size so pretty unnoticeable to most people but not me. I see good. Anything that disturbs gibberelins will also disrupt abscisic acid and create dead, clinging organic matter.